Our Team Will Keep You Safe. 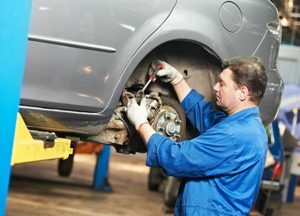 Call Us To Book A Brake Inspection Now ! Call Us Today On 024 7632 5873. It might seem like common sense, but many drivers don’t give the brakes on their vehicles a second thought, even though they are obviously the most important of safety equipment on any vehicle. The braking system is by its very nature complex and should be checked by an expert every 10,000 miles or at least once a year, and of course, at the start of the winter. To check the handbrake is in good working order pull it while you’re on an incline. If it takes more than a few clicks before the car is secure the callipers/drums need to be professionally checked.